We are always on the hunt for unique items that you can add to your home and this Copper Pendant Bird Light Fitting knocks it out the park. Check it out now. This amazing Copper Pendant Bird Light is a true work of art that comes in a number of styles and is understandably a Best Seller. We were blown away the minute we laid eyes on this and would you believe that the birds are magnetic and can be moved around. This gorgeous Copper Chandelier also comes in a Double Tier version and it will certainly be a talking point with visitors. 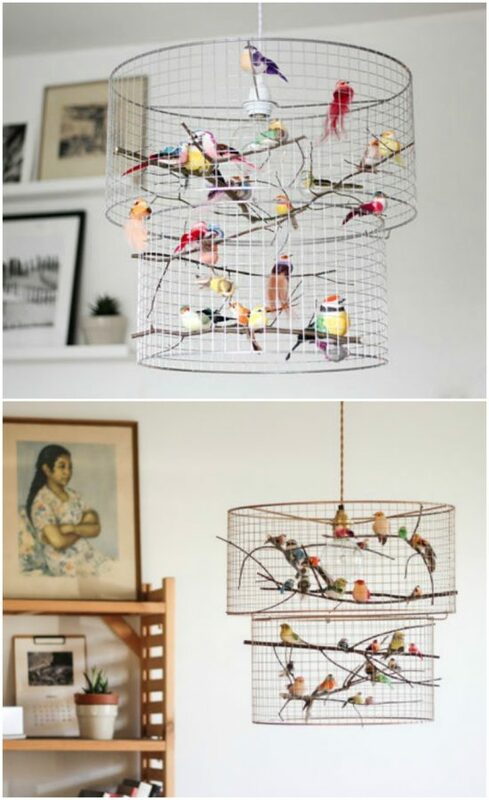 Every chandelier is custom made to order, so you won’t receive exactly the same birds as shown on the picture. Birds are hand picked to harmonize as a whole. If you would like to have the birds in your favourite colours, then you are welcome to include details when you order and the Etsy Seller will happily oblige. 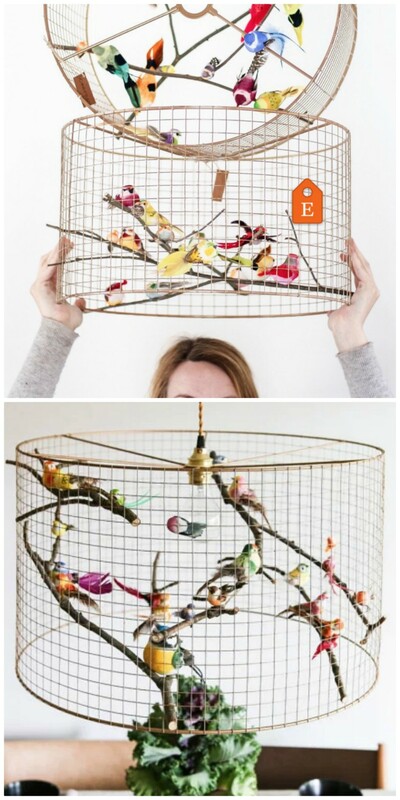 While we’re on the subject of the Creators behind these amazing Copper Bird Cage Lights, Rauno and Kertu, are the passionate people behind the idea and discovered their talent and love for decorating when they were doing up their new home. They had a very clear vision of how they wanted their home to look. Unfortunately like for many of us, they could not always find suitable things from shops. Luckily for Kertu, Rauno, her sweet, bearded boyfriend, helps her out. Together, they have become Kekoni, and in the process, a true Etsy Super Seller. They firstly make handmade items for their home and then for their Etsy Shop. Each step of our production process is done in-house and by hand. We’re self-taught in every aspect of the business, and we put an enormous amount of thought into the design. When we’re not working, we’ll use any excuse to take a road trip, cook & eat delicious food, sleep in, and drink too much coffee. There is a whole range including desk lamps and floor lamps too that when available are on Etsy. If their shop is off line, it may be simply that they have been flooded with orders.